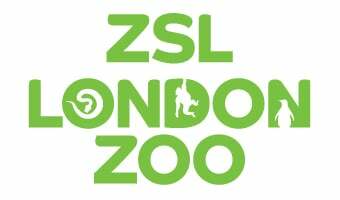 If you’d like to include a listing for ZSL London Zoo on your publication, website, tour itinerary, brochure or newsletter, please feel free to use the images and text provided below. Your can also download free ZSL London Zoo images for promotional use (terms and conditions apply*). *Image use terms and conditions: These images are available free for download for the purposes of promoting ZSL Whipsnade Zoo. Images are not to be used for commercial or private use not relating to ZSL Whipsnade Zoo. *Print Uses - any printed materials, but not "retail photo products" (defined below). Acceptable uses include promotional items (greeting cards, t-shirts, postcards, posters, phone cards, credit cards, templates, CD covers, cassette covers, board games, calendars), magazines, newspapers, advertising, editorials, catalogues, flyers, brochures, reports, disposable packaging, book covers, and educational textbooks. Unauthorized "retail photo products" include, without limitation, greeting cards, calendars, postcards, stationery, posters, t-shirts, ties, "photo mugs", and mouse pads, offered for sale (wholesale and retail). An unmissable attraction right in the heart of London. Get closer to over 18,000 amazing animal, and enjoy live shows and fantastic, immersive exhibits. Set in leafy Regent's Park amid heritage-listed buildings and beautiful gardens, ZSL London Zoo is an oasis in the heart of the capital. With over 750 amazing animal species to discover, as well as live demonstrations and fantastic, immersive exhibits such as Land of the Lions, this is an unmissable attraction. Set in leafy Regent's Park amid heritage-listed buildings and beautiful gardens, ZSL London Zoo is an oasis in the heart of the capital. With over 750 amazing animal species to discover, as well as live shows and fantastic, immersive exhibits, this is an unmissable attraction. The Zoo’s biggest experience, Land of the Lions, gives visitors the chance to get closer than ever before to the mighty Asiatic lions – of which only 400 remain in the wild. Visitors can explore three walkways covering the 2,500sqm exhibit with thrilling, immersive Indian-themed areas to explore. Head down to Penguin Beach and watch London’s largest colony of Humboldt Penguins dive, swim, frolic and feed, or step Into Africa and observe the elegance and grace of the giraffes from the viewing platform. Move through lush forested pathways when Gorilla Kingdom brings the African rainforest to the heart of London. Set in leafy Regent's Park amid heritage-listed buildings and beautiful gardens, ZSL London Zoo is an oasis in the heart of the capital. With over 750 amazing animal species to discover, as well as live shows and fantastic, immersive exhibits, this is an unmissable attraction. The Zoo’s biggest experience, Land of the Lions, gives visitors the chance to get closer than ever before to the mighty Asiatic lions – of which only 400 remain in the wild. Visitors can explore three walkways covering the 2,500sqm exhibit with thrilling, immersive Indian-themed areas to explore. Embark on a journey through an Indonesian habitat at Tiger Territory, where you can come face-to-face with one of nature’s most awesome predators, learn about the natural behaviours of Sumatran Tigers at the daily Tiger Talk and discover the conservation issues these creatures face in the wild. View animals in a different light at Rainforest Life (London’s only living rainforest), and go on a journey high into the treetops to meet a variety of amazing rainforest species. Then head down below to meet the creatures who only come out in the dark in the amazing nocturnal experience, Night Life. Visitors can head down to the beach and watch London’s largest colony of Humboldt Penguins dive, swim, frolic and feed, meet the Monkeys in their natural habitat - with no boundaries between animals and visitors in a walk through enclosure, step Into Africa and observe the elegance and grace of the giraffes from the viewing platform and move through lush forested pathways when Gorilla Kingdom brings the African rainforest to the heart of London. .
You can also enjoy displays, feeding times and talks at no extra cost! Plan your coach trip to ZSL London Zoo.